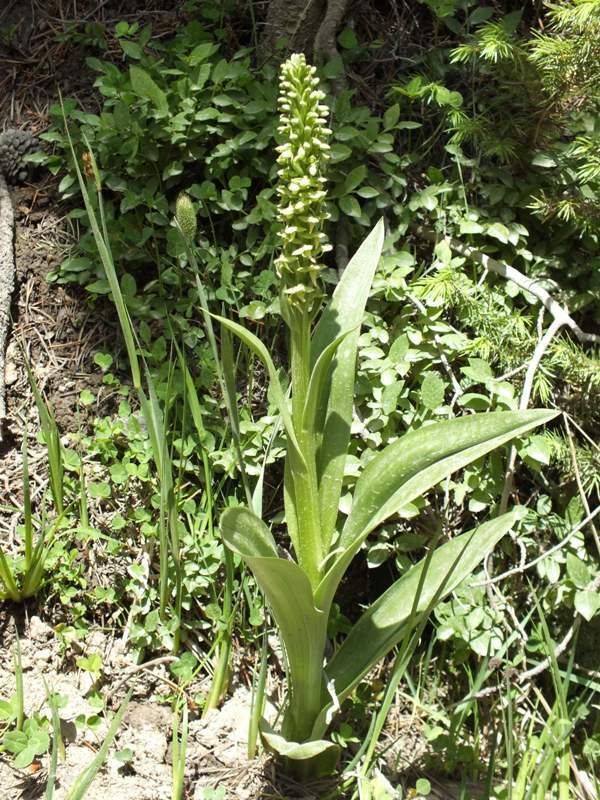 The Green Bog Orchid is widespread throughout the Rocky Mountains area of North America, but unlike other Platanthera species which grow in damp, riverside meadows at lower elevations, this species can be found at very high altitudes - up to around 12,000 feet. In late June and early July this orchid flowers in vast numbers. It often occurs in the open on rocky slopes and on roadside verges. Although plants in more sheltered areas are smaller, the ones growing in the open can be up to 70 cm in height. 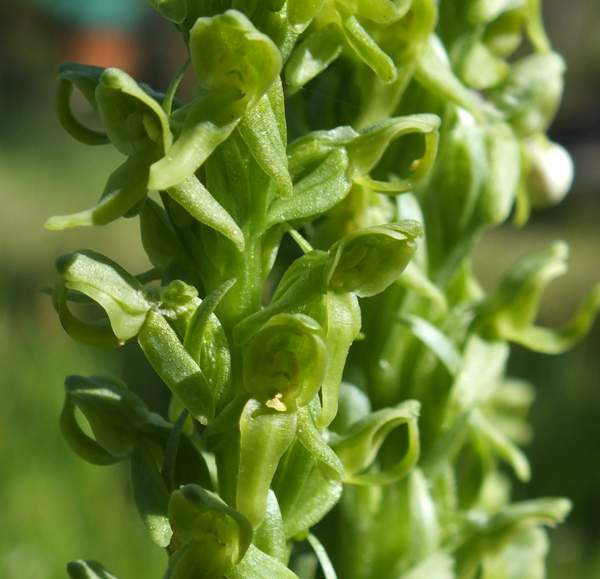 The plant is very robust and is easily identified from other Platanthera species in the region by its size and overall green colouring - even the flowers are an unrelenting green. The stems are very densely packed with flowers, and up to 75 individual flowers can occur on a single plant. The specimens shown on this page where photographed in Rocky Mountain National Park in early July very close to the Alpine Ridge Visitor Centre, which is about 13,000 feet above sea level.